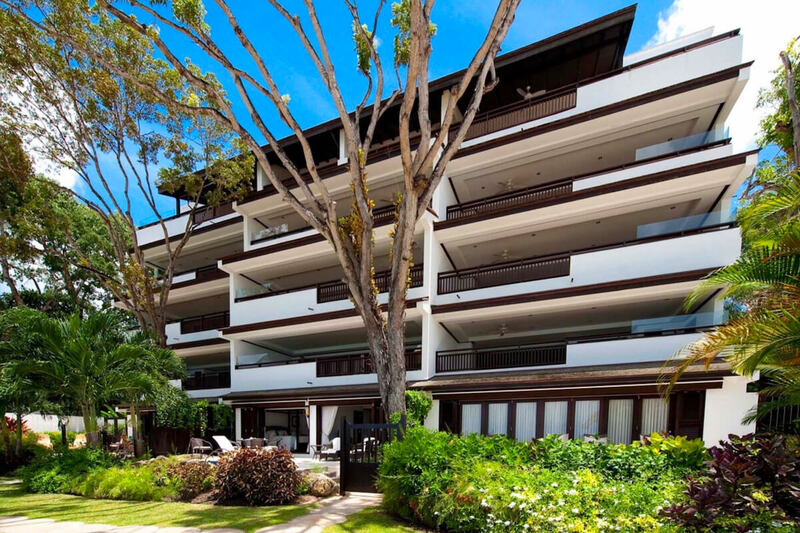 Coral Cove #3 or “Green Flash,” is an updated 2-bedroom, 3-bathroom condo located within the Coral Cove complex. The wonderful, wide beach of Paynes Bay is literally steps away, and the water is calm and clear, making it perfect for snorkeling. With 2 bedrooms that can accommodate up to 5 people, it’s the ideal place for a family or a small group of friends. If you watch closely, just as the sun disappears completely over the sea’s horizon on a cloudless day, you may catch a glimpse of the fabled “green flash”. Though a rare occurrence, it’s still a good reason to relax on your personal outdoor patio of Coral Cove #3 (also named “Green Flash”) and watch the awe-inspiring sunset. Green Flash is just steps away from the beach and sea, and beach chairs are set out daily for those in residence. Guests will appreciate smartly designed two-bedroom villa. All bedrooms have their own en-suite bathroom, ceiling fans, and air-conditioning. Five can sleep comfortably, as the second bedroom has a day bed, and the king bed can easily be converted into two twin beds. The master bedroom is furnished with a king-size bed and has patio access. The open-plan kitchen is fully equipped and has all the amenities of a modern home. All appliances are of the highest standards with a wine fridge and stainless steel finishes. If you want to dine inside, the dining table easily seats six. Amenities include a 70-inch smart TV with cable; DVD players in the bedrooms; a music station dock; TVs in both bedrooms; and a Playstation 3 video game blu-ray console in the second bedroom. Green Flash is just a five-minute drive to Sandy Lane Hotel. It’s also convenient to Holetown, where guests can purchase groceries, shop, and enjoy the many restaurants, cafes, and bistros. On our friends recommendation we stayed at Coral Cove and weren’t disappointed. From the moment we arrived we were looked after by all the staff who made us feel at home and explained everything we needed to know. The villa is 2 strides from the beach and is immaculately clean and tidy (thanks to Marva who both our kids loved !). The villa is spacious and with everything you need to have the full Barbadian experience, we cannot recommend it highly enough. The view alone when you arrive takes your breath away. Excellent communication at all stages from pre-booking to the conclusion of our holiday. We will be using WhereToStay again!